Today we release version 1.2.2 of Block Lab. 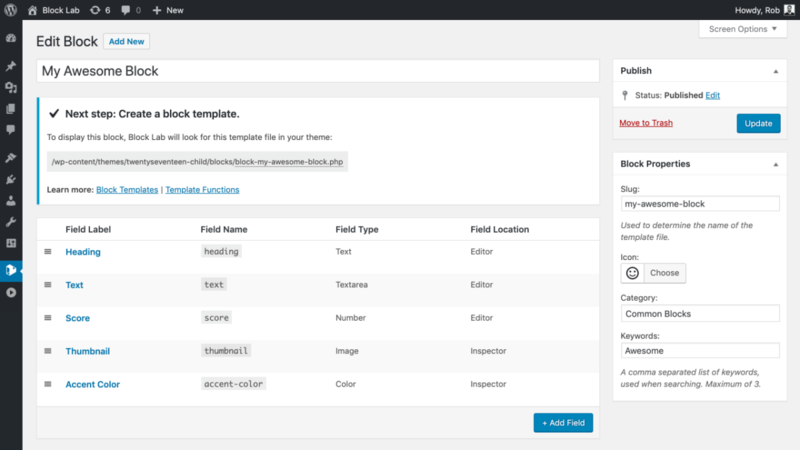 This version introduces a bunch of user interface improvements that make it even easier to build blocks within the WordPress admin, particularly for those just getting started with Block Lab. 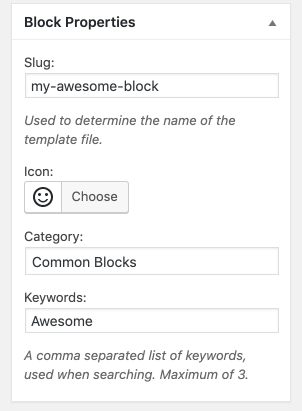 The block properties (slug, icon, categories, keywords) are now moved over to the sidebar rather than in the main content column. This simplifies the adding and configuring of fields, which is where you spend most of your time when building a new block. Prompts, “next steps”, and documentation links are displayed when building a new block to help guide you through the process. These only appear at relevant points of the process and disappear once you’ve moved on. A prompt that includes a template file copy-paste feature. The prompt appears after you hit “Publish” or “Save Draft” and disappears once you create your template file. The “Add fields” panel has some improvements in how it positions rows when adding/moving between them. When you add or select a field row it now positions itself at the top of the panel. This saves you having to scroll to maximise your view of the field settings. The overall impact of these changes is that the experience of adding, configuring, and publishing a new block is even more streamlined. Have suggestions for how we can improve the experience even further? Comment on this post or join us over on Github.